Not jewels, not a gourmet dinner at a schwanktastic restaurant, not a year’s supply of lattes — nothing beats home made gifts for Mother’s Day. I morphed into a soupy mess this morning when I opened the goodness from my wild children. 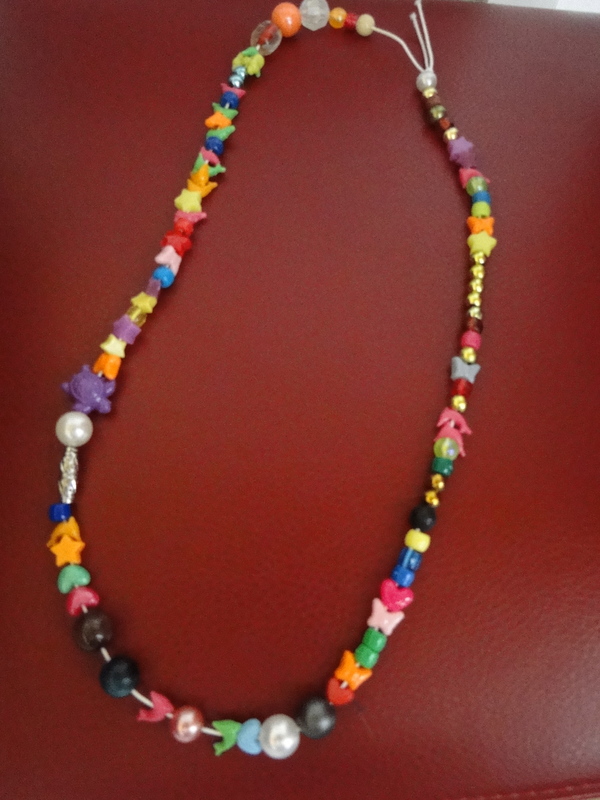 I adore this necklace courtesy of my nine-year old son, and will proudly sport it all day. My seven-year old daughter made this card. If you look closely, you’ll see that she designed the cover for my novel, formerly called “Disappear.” She nailed important details like an old barn surrounded by overgrown grass, and a girl who fades away as she “spirit walks” to another time. Funny thing – both kids are too young to read it, but they know so much about the story. Mainly from me dragging them on random research trips, like to the Crow reservation, silent movies, or my endless quests for dilapidated barns. 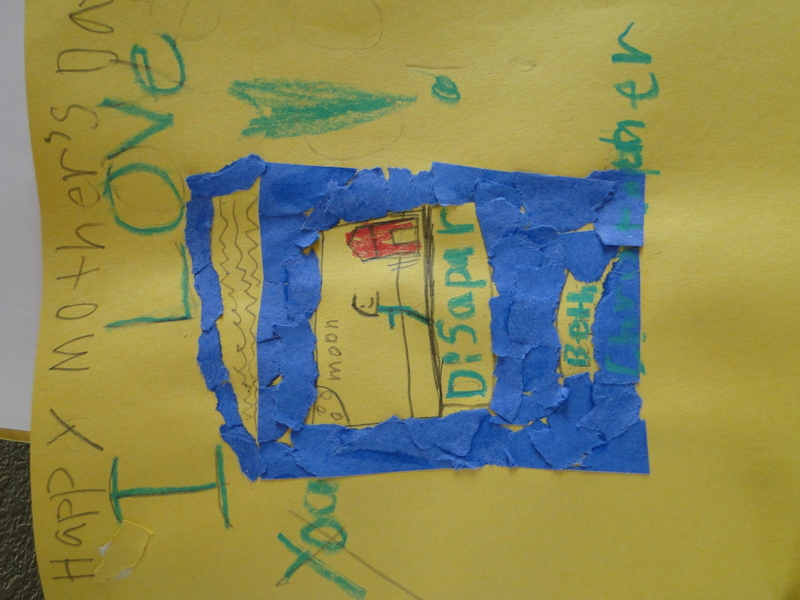 In her careful, best printing, the inside of the card read: Dear Mom, I like it when you make spaghetti. I hope you get your book published. Love, Sophie. I’m an emotional mushball on the best of days, but today? Fugettaboudit. I just try to take it all in and savor the innocence and pure, sweet love from the greatest blessings of my life. Huge schmoopy Mother’s Day wishes to all you magic mamas! Love it – Happy Mother’s Day!! Aw! happy tears – so sweet!! Oh, those gifts are the BEST. I love the details that kids store in their brains, the things you did not know they heard or believe they understand…and I love that Sophie loves your spaghetti. Warmed. I never replied to this but it just melts my heart. I, too, got the million dollar homemade cards that I will treasure. Even Grace saying I love you mom, your the beast! !